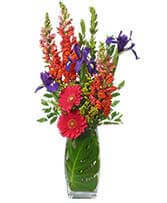 Send congrats for a job well done with our colorful bouquet of the freshest roses, alstroemeria, carnations, Gerberas, lilies and more, hand-arranged by our expert florists into a stunning presentation bouquet that can be carried gracefully over their arm. Finished off with a stylish ribbon, it's perfect for graduations, dance recitals, awards ceremonies, proms or even thanking your office MVPs. 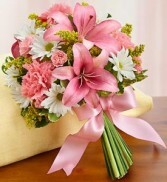 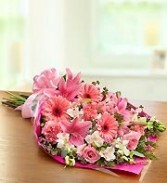 Send smiles with this elegant hand-tied bouquet, created using only the freshest lilies, carnations, daisy poms and more. 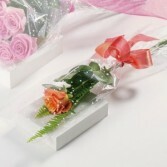 Bound by hand with lovely ribbon, it's a beautiful presentation for dance recitals, proms, graduations, or to make any celebration an elegant affair. 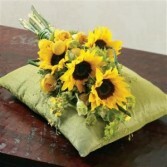 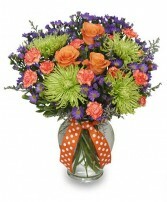 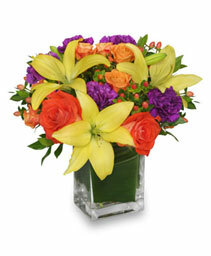 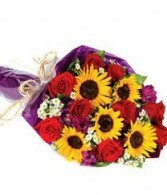 This arrangement is guaranteed to bring a burst of sun to your day. 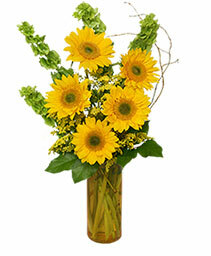 Whether you're celebrating a birthday, graduation, anniversary or just because, this arrangement is sure to bring warmth and brighten your day. 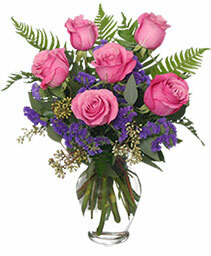 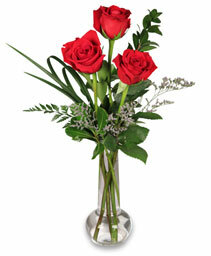 One fragrant rose, accented with leafy ferns and delightfully wrapped.